Welcome back, sweethearts! 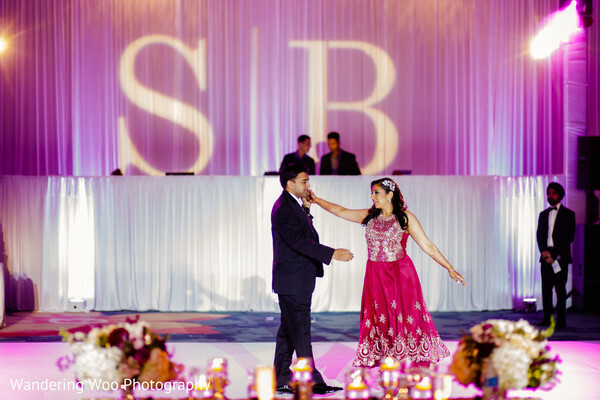 We are twinkling with excitement to follow up with the reception buzz from Sandhya and Binoy's nuptials. As we spilled earlier today, all the unforgettable memories were created at the Omni Orlando Resort at Champions Gate that went over and beyond to make the experience just perfect! The lively baraat offered a booming mobile system and a pro dhol player by Pavan Events. 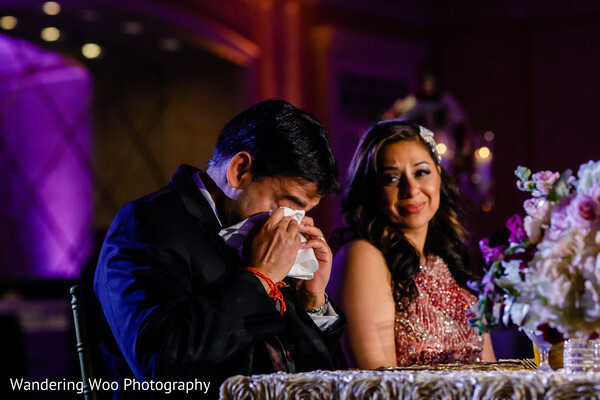 The celebration definitely set the mood for the heavenly ceremony. 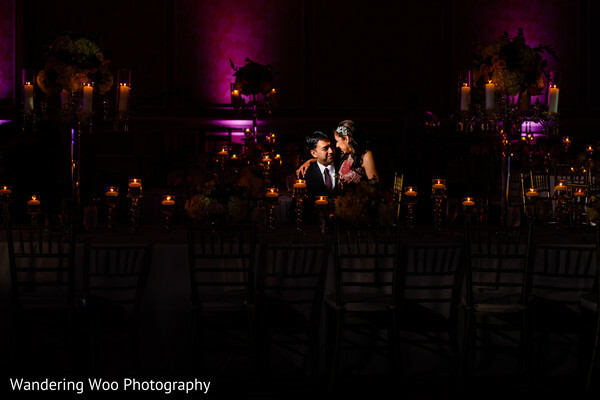 After the couple became Mr. and Mrs., the happy guests proceeded to the purply ballroom indoors. 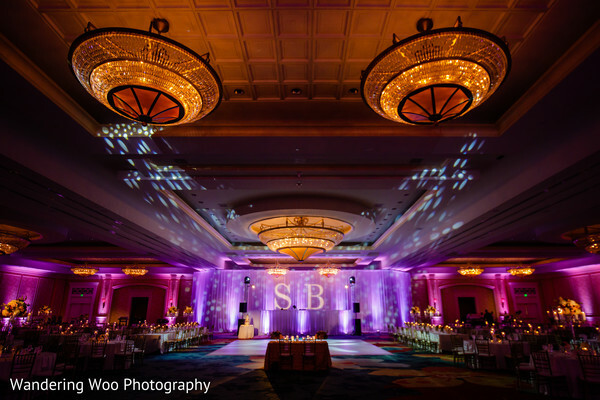 Design specialists from Occasions by Shangri-la created the overall design and set the mood at this glorious venue. 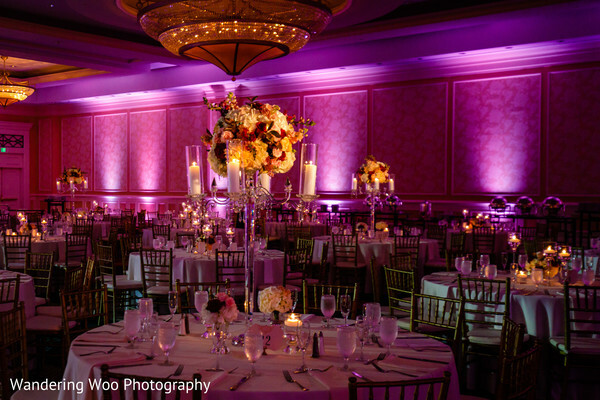 The effect of the glooming uplights, flickering candles, majestic chandeliers, and tall flowerful centerpieces created an enchanted sphere for the guests to explore. Eventrics Weddings put every little piece of the puzzle into place, so family and friends could fully enjoy the amazing experience. 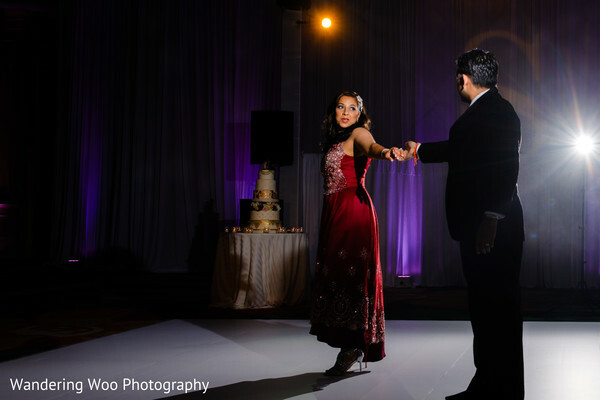 Our glowing bride twirled the dance floor in bright pink displaying free-flowing hair and flawless makeup applied by Luma Bridal. Noone left on an empty stomach as Tabla Cuisine master chef's offered numerous delicious meals to marvel in. 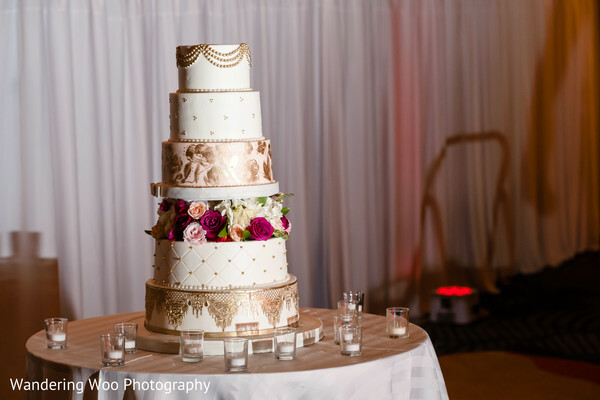 The multi-tiered wedding cake baked by Party Flavors was the cherry on the top of this marvelous celebration. 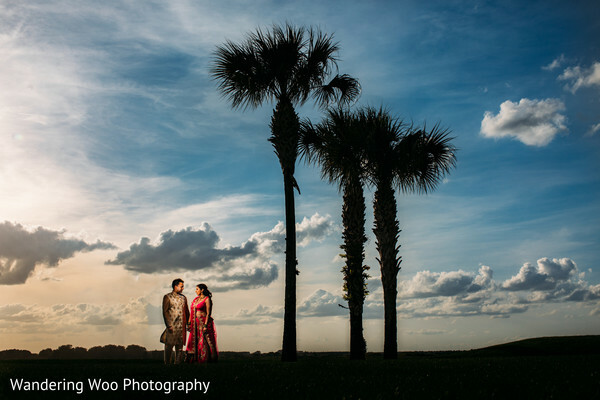 Now, let's wrap up all the glory with some love-filled images by Wandering Woo Photography or get lost in our shimmering gallery. Have a bride-tastic day, Maharanis! 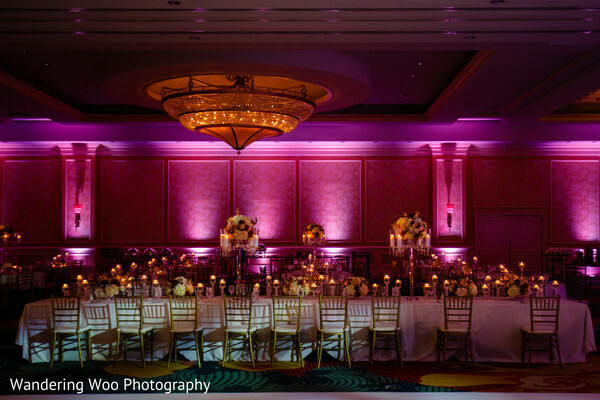 Eventrics Weddings, Omni Orlando Resort at ChampionsGate, Occasions by Shangri-la and Pavan Events are members of the Platinum Guide. Love what you see? Explore their portfolios.